At Oak Hill United Methodist Preschool our philosophy is to provide a loving, happy and rewarding preschool for your child. It is our goal to provide developmentally appropriate activities to enhance our children’s physical, mental, social, emotional, and moral growth. 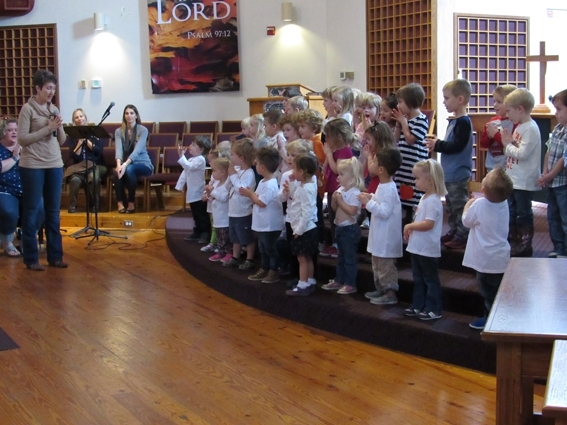 Our preschool program is for children aged 2 to 4 years. The program runs from 9 a.m. to 1 p.m. Two-day-a-week and a three-day-a-week schedules are available. Our licensed capacity is 70 children per day. The preschool provides a Christian environment of belonging, emphasizing self-worth. We provide opportunities for developing self-expression, communication, problem solving and participation in group experiences. All are designed to help your child develop self-confidence through creating, manipulating, and exploring. To help convey God’s love, a chapel service directed by one of our pastors will be held once a week using Bible stories, music and prayer. If you would like more information, please visit our website or contact the preschool director, Jennifer Barkis, at preschool@oakhillumc.org.